Direen is a traditional 2 storey stone built cottage, renovated to modern day standards by extending the back for extra accommodation. The original style of the cottage has been maintained, with 2 open fires to add comfort, alongside the oil-fired central heating. This is a cosy cottage for winter rental. Timber and tiles have been used throughout for the flooring which both retain the character of the cottage as well as provide for a clean house. The cottage sleeps 7, with the ground floor adapted for wheelchair access. There is free WIFI internet access installed in the cottage with excellent reception.There is a shed alongside, with chest freezer and ample space for outdoor gear. 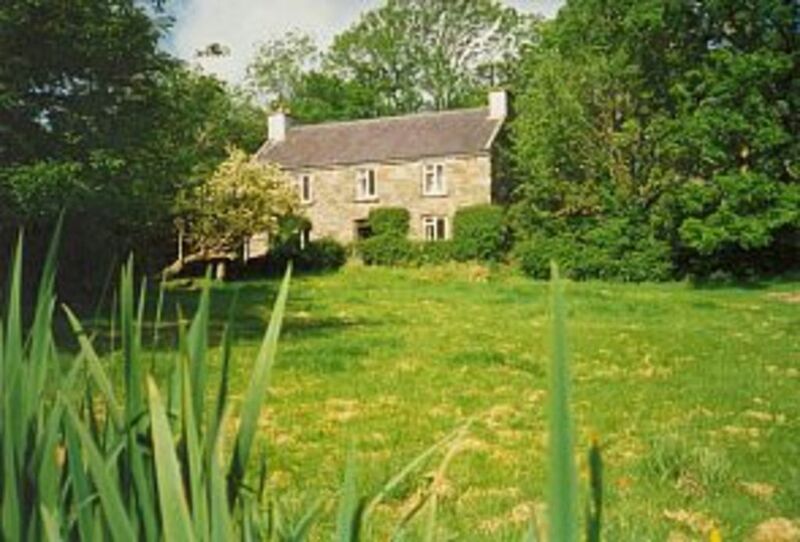 Situated on 1 acre, a small stream, field and trees make this a very peaceful property. Eamonn born and lived all his life in Brandon farming the family farm. Janet born in England and moved to Brandon when she married Eamonn in 1982. They have a family of 4 sons. Eamonn and Janet work the farm and sell local produce of veg, honey and eggs through the local Dingle Market. There is a very large, wild and natural garden which is safely enclosed for children. It offers plenty of tree climbing, swings and a small stream. Wildlife is plentiful within the garden. WIFI has recently been installed in the cottage with excellent reception.The dining room combines as a sitting room but there is also a separate sitting room. Both have open fires if wanted. The sitting room could also be adapted as a bedroom for an elderly or infirm person, unable to use the stairs, on request. The outside shed is suitable for anglers, surfers and other outdoor pursuits and there is a chest freezer provided here. We loved staying at Janet and Eamonn's cottage. We had to leave early and did not get a chance to see them before we left but did meet with them upon arrival. They were fabulous hosts and left us a few goodies. The cottage was amazing and we had a great time. We would gladly recommend this for any travelers. Loved this cottage from the minute we walked in the door. Very clean and well maintained property. Nice touches left out for us from Janet and Eamonn. Many thanks. Would return in a heartbeat. I even drove the "Connor Pass" twice, uphill only! Very good location. Beautiful setting. Very good spacious cottage (there were 3 of us). Off road parking. Quiet surroundings. About half an hour walk into Cloghane village. Lovely 'porter cake' left as a gift. Met Janet and she seemed very friendly and personable. Directions to cottage from owners very good indeed. Location great for visiting the Kerry area. Great cottage in location convenient to Dingle. Very quiet and beautiful and welcoming. A+ stay! The cottage was well maintained and clean and we were made to feel very welcomed by our hosts. The location was perfect with Dingle only 30 minutes away by car. Great base location to explore the peninsula and just unwind and relax! We would definitely go back (family of four with twin 12 year old boys) in a heartbeat (even the boys loved it). The peat fires in the tv and living rooms were also much appreciated and used. The beds were also comfortable. I really can’t say enough good things about Direen cottage, but it is definitely a wonderful VRBO that me and my family highly recommend. A+ accommodation for our needs. We really enjoyed our stay at Direen Cottage. A favorite photo from our trip is my husband standing in front of the drive saying he doesn't want to leave. We arrived on a dark and raining night. Fortunately Eamon was in Tralee and we were able to follow him to the cottage or else I don't know if we would have found it! We were a little unsure of the location when we first arrived, feeling like we were far from anything. Because it was off season, the pub in Cloghane was not open and a lot of local pubs in the area were not open. But, the store in Cloghane was open and they had all the necessities if we missed anything. And, once we explored and realized it's just a 20 minute drive to Dingle over the Connor Pass (a little nerve-wracking for American drivers, but we've done worse in the mountains of Colorado or New Mexico!) and 5 minute drive to Fermoyle Beach (you must go see it) , we were happy to that we were in the location because we probably wouldn't have explored the north part of the peninsula had we stayed in Dingle. We hiked one of the local trails to Loch a Duin(?) and still cannot describe the breathtaking views. You need a car for this location. The cottage was a perfect size for our family of four with room for more if needed. Our sons enjoyed playing on the swing and our 12 year old said, this place is perfect. :) We loved the evenings by the peat fires. The cottage was warm and cozy after we had days of sun-rain-hail. Wifi worked great. My tiniest complaints... the bath towels could be replaced and the tea kettle and coffee pot needed cleaning out before we could use them. Not a huge issue for us. We'd return in a heartbeat! Rental rates include WIFI internet access, heating, electricity, linen and towels. Turf is supplied on arrival. There are no additional charges. Short breaks are welcome off season with a minimum rental charge of 300 Euros. Contact owner about these. We also rent out Wren's Old Cottage, Upper Teer, Brandon Property no:871674 if the dates, location or availability would better suit your needs.